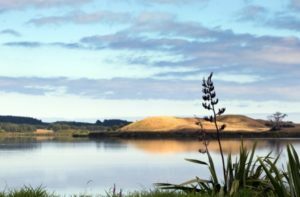 An historic decision by the Maori Appellate Court has left the Horowhenua Lake Trust without trustees. KIN Horowhenua correspondent Veronica Harrod reports three judges decided in favour of Philip Taueki, one of the Lake Horowhenua owners, who challenged Judge Doogan’s decision of 19 May 2016 appointing 11 Lake Horowhenua trustees. He did this on the grounds Judge Doogan had a conflict of interest. Lake Horowhenua Trust now has no trustees. Activist Philip Taueki, who has long fought authorities over his ancestral rights and care of the polluted lake, filed the appeal and was self-represented at the hearing. Mr Taueki made his application appealing the appointment of trustees by Judge Doogan after the Maori Appellate Court found on 8 March 2018 that Judge Doogan had a conflict of interest in an appeal by another Lake Horowhenua owner Charles Rudd in another case involving the Lake Horowhenua Trust. 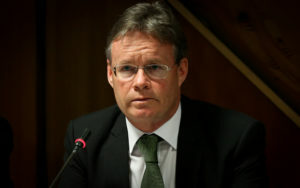 Mr Rudd’s appeal was based on comments Judge Doogan made in his court case about his previous professional involvement with the Muaūpoko Tribal Authority and Lake Horowhenua Trust chair Matthew Sword. It was after the decision in Mr Rudd’s appeal was released by the Maori Appellate Court that Mr Taueki filed his application seeking a previous decision Judge Doogan made to appoint 11 Lake Horowhenua trustees be quashed. “Against this background, our answer to the question of whether a fair-minded fully informed observer would have a reasonable apprehension that the judge might not bring an impartial mind to the matters before him is ‘yes’. 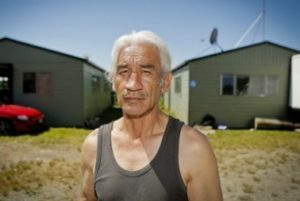 “The judge formerly acted for the Muaūpoko Tribal Authority; the judge’s instructing solicitor at that time had become chair of the Lake Horowhenua Trust; and persons active in the Muaūpoko Tribal Authority were seeking appointment as trustees of the Lake Horowhenua Trust although subject to objection from Mr Taueki and others,” stated the Maori Appellate Court judgement. “Given the troubled history of this trust and the objections raised, the appointment as trustees of the 11 highest-polling candidates cannot be regarded as a fait accompli. “Judge Doogan exercised judgement not to inquire into the objections, and proceeded to appoint strictly in accordance with the poll. I take my hat off to Philip Taueki for single-handedly taking on the established elite and getting results. It also shows that our legal and democratic processes still work to some degree.